The critics of the Honorable Minister Louis Farrakhan never accuse him of telling lies. It is safe to say then that despite their opposition of him they know that he speaks the truth. However, they characterize his divine message as “hate speech” or “anti-” this or that. These characterizations that again, have nothing to do with the veracity or truth of what he teaches are borne out of the fact that his divine message hurts the feelings of his critics. They feel offended when he holds them accountable for long histories of harm, exploitation and oppression of the Black community. That the Honorable Minister Louis Farrakhan offends and hurts the feelings of his critics is intriguing and at the same time a powerful confirmation of the divine nature of his message. 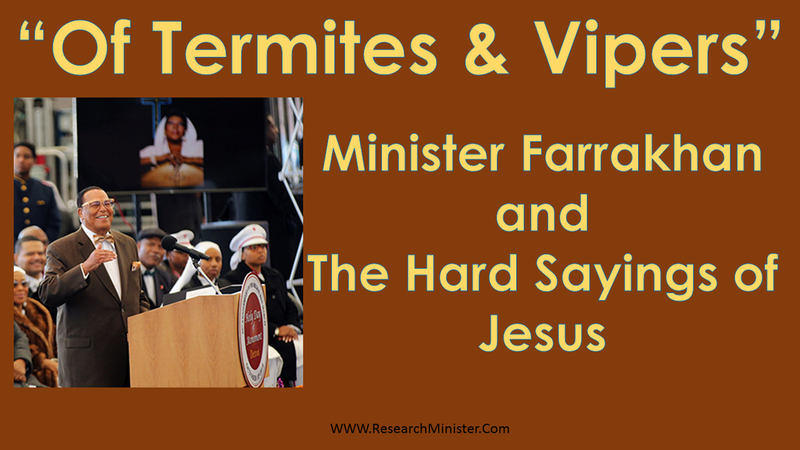 For what Minister Farrakhan is accused of, is the same that Jesus was accused of in the New Testament. 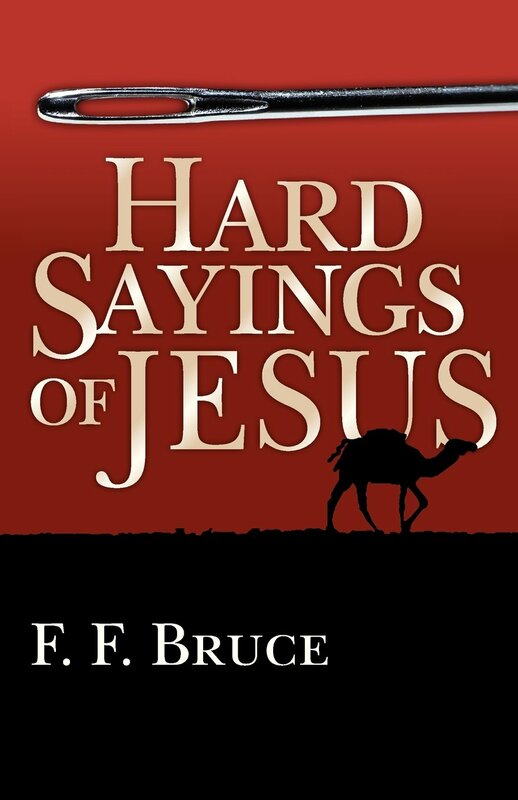 Many of those who listened to Jesus during his public ministry found some of his sayings “hard” and said so. Many of those who read his sayings today, or hear them read in church, also find them hard, but do not always think it fitting to say so. It is all too easy to believe in a Jesus who is largely a construction of our own imagination—an inoffensive person whom no one would really trouble to crucify. But the Jesus whom we meet in the Gospels, far from being an inoffensive person, gave offense right and left. Even his loyal followers found him, at times, thoroughly disconcerting. He upset all established notions of religious propriety. He spoke of God in terms of intimacy which sounded like blasphemy. He seemed to enjoy the most questionable company. He set out with open eyes on a road which, in the view of “sensible” people, was bound to lead to disaster. But in those who were not put off by him he created a passionate love and allegiance which death could not destroy. They knew that in him they had found the way of acceptance, peace of conscience, life that was life indeed. More than that: in him they came to know God himself in a new way; here was the life of God being lived out in a real human life and communicating itself through him to them. One reason for the complaint that Jesus’ sayings were hard was that he made his hearers think. For some people, thinking is a difficult and uncomfortable exercise, especially when it involves the critical reappraisal of firmly held prejudices and convictions, or the challenging of the current consensus of opinion. Any utterance, therefore, which invites them to engage in this kind of thinking is a hard saying. 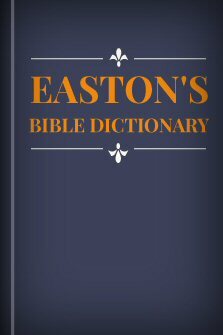 Many of Jesus’ sayings were hard in this sense. The “prophet” proclaimed the message given to him, as the “seer” beheld the vision of God. (See Numbers 12:6 Numbers 12:8.) Thus a prophet was a spokesman for God; he spake in God’s name and by his authority (Exodus 7:1). He is the mouth by which God speaks to men ( Jeremiah 1:9 ; Isaiah 51:16 ), and hence what the prophet says is not of man but of God ( 2 Peter 1:20 2 Peter 1:21 ; Compare Hebrews 3:7 ; Acts 4:25 ; 28:25 ). Prophets were the immediate organs of God for the communication of his mind and will to men (Deuteronomy 18:18 Deuteronomy 18:19). The great task assigned to the prophets whom God raised up among the people was “to correct moral and religious abuses, to proclaim the great moral and religious truths which are connected with the character of God, and which lie at the foundation of his government.” Any one being a spokesman for God to man might thus be called a prophet. 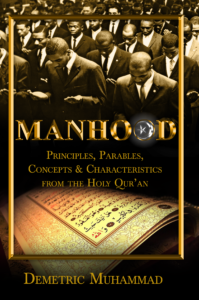 Minister Farrakhan under the inspiration and unction of the Holy Spirit of Allah (God) speaks for Allah (God) those truths that sometimes offends the ears of his listeners. This is, we see, a prophetic quality to his ministry. It is also a marker of how close he is in similitude to the Jesus of the New Testament. And this means that instead of crying out in emotionalism to condemn the Minister’s words, his critics should consider it as strong medicine; an elixir of truth that is harsh upon the ears but necessary to heal the whole body. Previous PostPrevious Why Farrakhan Is Loved By Black America & Is Always Welcomed Among Us!